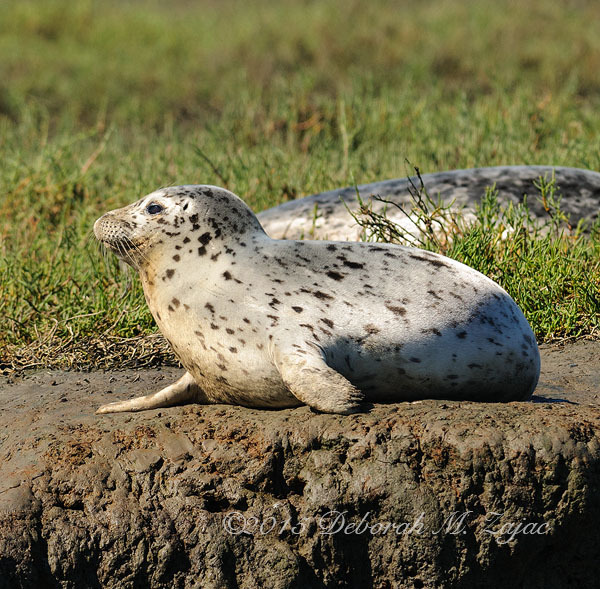 3 girlfriends and I joined one our favorite Photography Meet-Up groups for a morning in Elkhorn Slough, Moss Landing, CA. Our group of 18 spent a couple of hours on a 27 ft Pontoon Boat cruising around the slough observing and photographing wildlife and birds. It was my second time going out on this boat. Both times were lots of fun. Captain Joe, and Naturalist John Carlo were both very informative about the wildlife and birds that call Elkhorn Slough home. The Slough seemed quiet compared to other times I’ve birded there. 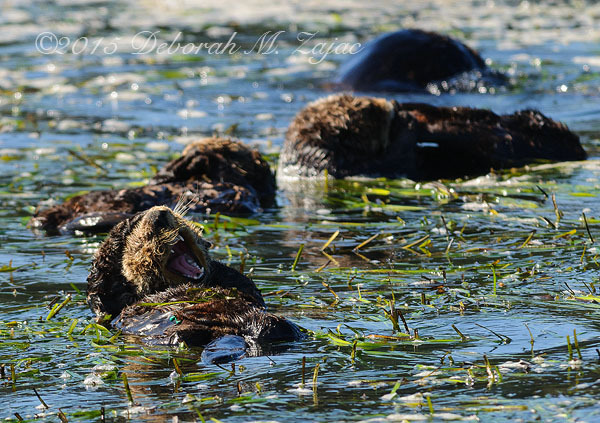 We missed early morning feeding time I think, and there weren’t as many Sea Otters as I’ve seen in the past, but there was still plenty to look at. 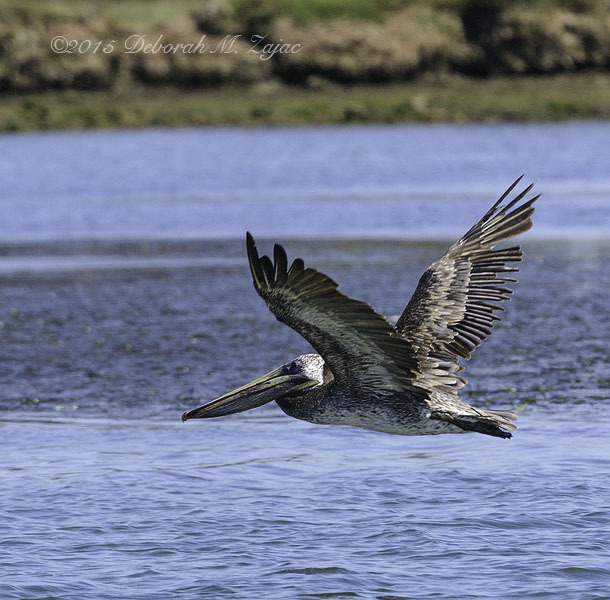 Brown Pelican- There were quite a few of these gliding around the slough looking for tasty fish. 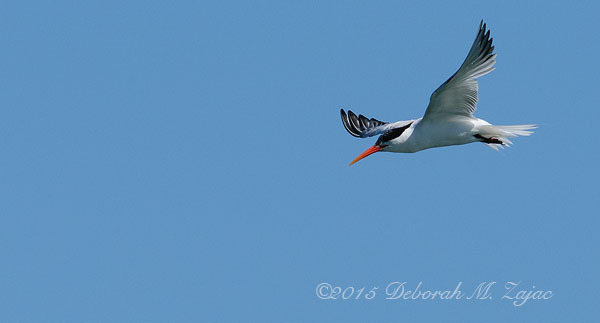 Those Terns are so fast and agile! It was challenging getting a sharp image of them in flight. 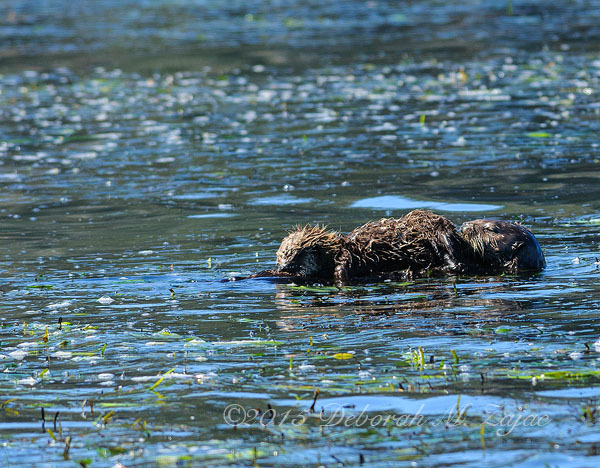 A Mom Sea Otter and Nursing pup. This might be tricky to see; Mom’s face is at the back grooming the pup, while the pup nurses with its face near Mom’s feet/flippers. I photographed the Mom and Pup for a minute then turned around to see if anything good came along in the meantime, and there was! 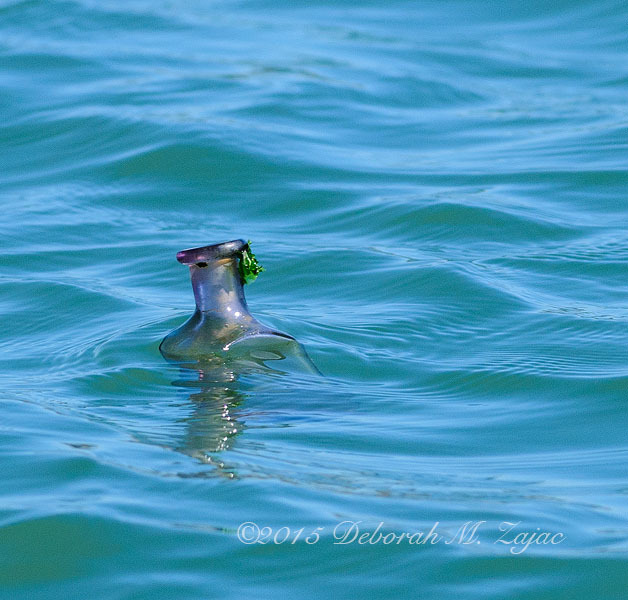 An old bottle with a lovely lavender/purple patina was floating our way. I called it out and said I wanted it. John Carlo very kindly said he’d get it for me. I asked if he had a net, and he replied, “A net. I don’t need a net. I’ll pluck it out.” With that Captain Joe maneuvered the boat to within grabbing reach, and John Carlo true to his word, plucked it from the water and presented it to me. My trip souvenir treasure. There’s a little shell inside the mouth, and it looks old. John Carlo said the Sea Otters probably found it, or dislodged it while looking for food. It once was clear glass, but has seen the sun because it’s turned purple. Especially at the top. The only markings the bottle has is a number on the bottom; no other maker’s mark are evident. I’ll probably never know how old it is, or who made it, but I love it! Thank you John Carlo! 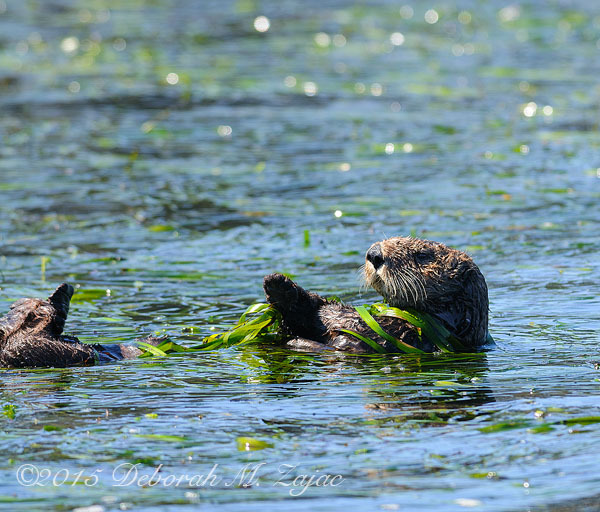 A small Sea Otter Raft- They group themselves together, sometimes holding hands, and they tie themselves up in the sea grass, and kelp to keep from drifting out to sea while they’re eating, grooming, and sleeping. When they’re grouped like that they look like a raft. This Raft had less than 20 Sea Otters in it.